The present study aimed to determine the effect of garlic pills on serum nitric oxide and preeclampsia prevention in healthy nulliparous pregnant women. This randomized clinical trial was conducted among 215 nulliparous pregnant women. The participants were assigned into control and intervention groups. 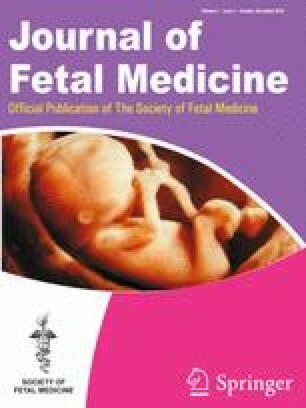 The intervention and control groups received garlic pills and placebo, respectively for 16 weeks from 20 week of gestation. Serum nitric oxide was measured 12 weeks after the intervention. Women were followed up for preeclampsia until childbirth in several visits. Data were analyzed using statistical package for social sciences software. The mean (standard deviation) of serum nitric oxide level was 151.4 (73.1) µmol in the intervention group and 124.1 (44.1) µmol in the control group. There was a significant difference between the two groups (P = 0.029). The prevalence of preeclampsia was 1 (1%) in the intervention group and 5 (5.2%) in the control group. There was no significant difference between the two groups (P = 0.094). The use of garlic pills has a significant effect on the elevation of serum nitric oxide levels. Despite the absence of significant statistical differences between the two groups, garlic pills in comparison with placebo reduced the incidence of preeclampsia. This study was extracted from a postgraduate thesis registered at Iranian Registry of Clinical Trials (IRCT201602163027N33) and approved by the Ethics Committee of Tabriz University of Medical Sciences (TBZMED.REC.1394.1028) onFebruary 1, 2016. The authors hereby thank all the participants; the staff of health centers in Rasht; Dr. Adel Montazeri, the laboratory technical director of the Razi and Hashmat Hospitals in Rasht and his staff, especially Ms. Rona Namazi and Ms. AtefehAlavi, and Dr.Abbas Momeni; the honorable staff of Dr. Momeni laboratory of Rudsar; and Mr. Janbaz, in charge of the blood bank of Rudsar, who have cooperated in the implementation of this research project. The Authors declares that they have no conflict of interests. ESCOP. Garlic 2017 [cited 2017 2017.5.5]. http://www.koop-phyto.org/en/medicinal-plants/garlic.php.